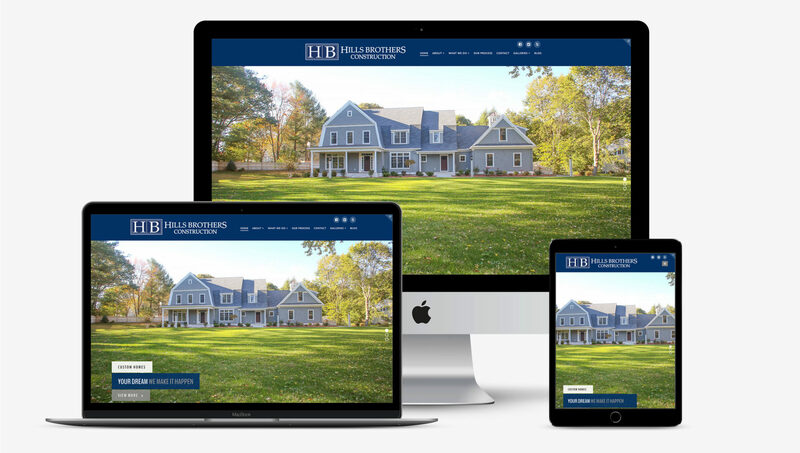 The Hills Brothers are a high-end, custom builders based out of Pepperall, MA. John and Scott Hills had an existing site but it was dated and–more importantly–falling short in attracting new business. 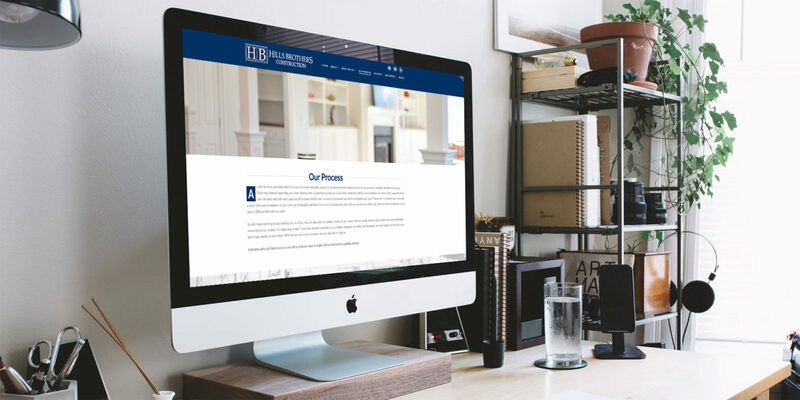 Being in a highly competitive market, John and Scott knew that they needed a site that would resonate with their potential customers. 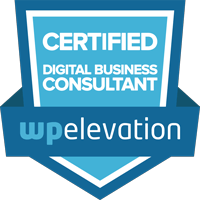 They were looking for a slick, responsive site that would showcase the depth and breadth of their work. 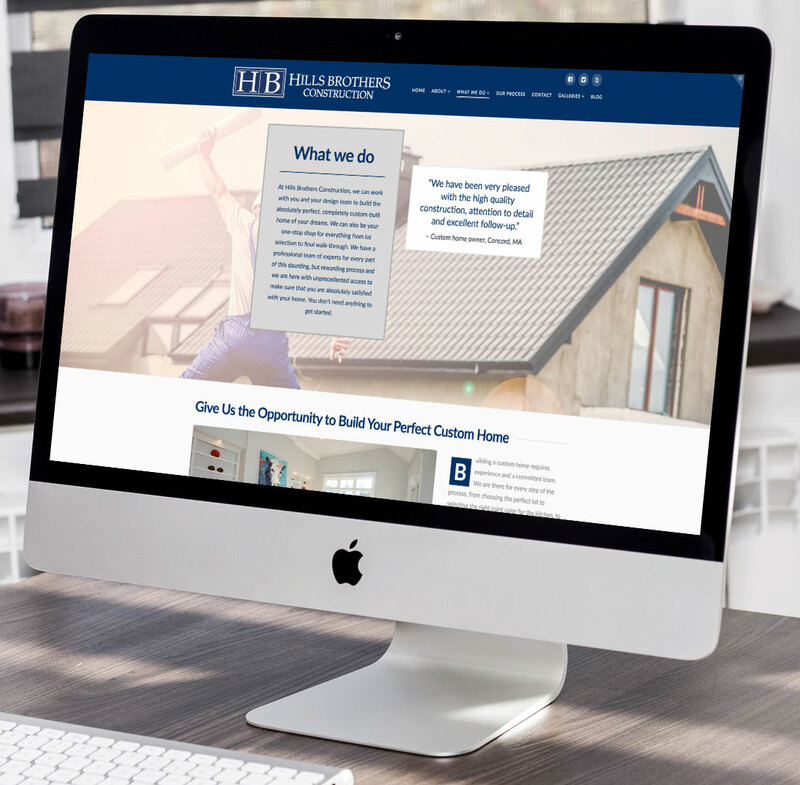 Our first goal was a no-brainer: present Hills Brothers Construction as the premiere builders, highlight beautiful photography of their work and create a welcoming online environment. No problem! Our second goal was to showcase their wide range of offerings and incentivize their customers to reach out and engage. 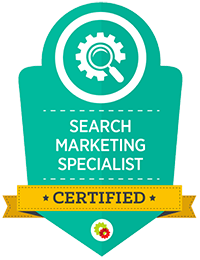 Additionally, social media needed to be added as well as basic SEO principles in order to drive organic traffic to the site.